Empowerment, liberation, choice. Once the watchwords of feminism, these terms have now been co-opted by a society that sells women an airbrushed, highly sexualised and increasingly narrow vision of femininity. Drawing on a wealth of research and personal interviews, LIVING DOLLS is a straight-talking, passionate and important book that makes us look afresh at women and girls, at sexism and femininity - today. Natasha Walter is author of THE NEW FEMINISM. She is a regular contributor to the national papers and BBC Radio. 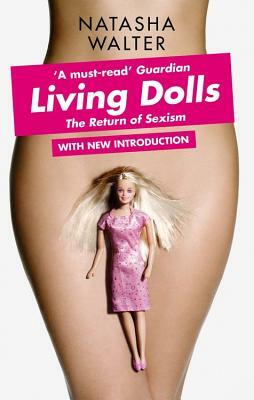 If anyone doubts the need to protect girls from the toxic, hyper-sexualised, disempowering environment they're now growing up in, they should read LIVING DOLLS—Maggie Hamilton, author of WHAT'S HAPPENING TO OUR GIRLS?